Despite how often I praise and drop money on the PlayStation 2 Classics line-up in the PlayStation Store, the severe lack of JRPGs available on the service is disheartening at least and heartbreaking at most. Not a lot of genres out there inspire nostalgia the same ways the JRPG does, and, aside from Atlus' Shin Megami Tensei series, many of the console's best games from the genre remain unaccounted for. However, the likely culprit of this situation is that JRPG fans are willing to drop more money than the standard $9.99 on classic favorites, and publishers can still make a lot of bank on HD remasters instead. Square Enix has already proven as much with the Final Fantasy X and Kingdom Hearts HD bundles, and Bandai Namco could be next with the Xenosaga series. The release just needs a lot of support to happen. Tekken director Katsuhiro Harada stated last month that he wanted to make this HD collection a reality, but he would need the support of "tens of thousands" of fans to raise their voices. Fans answered in turn and amassed roughly 5,000 signatures in a petition representing a movement they call Operation KOS-MOS. When presented with the petition on Twitter, Harada replied that it wasn't enough support yet. Impressive...But I said "Several tens of thousands", NOT only "ten of thousands". I feel you Xenosaga fans, and I am one of you as well. It's frustrating, I know, especially since the PlayStation 2 console isn't known for its longevity. I've been through two in the past two years, and I am not pleased being unable to play both my favorites and the games I unfortunately missed. We need a way to ensure that classics will be playable for future generations to come rather than blow them off into obscurity, as some publishers seem prepared to do. Right now, HD Collections are the best way to make sure those PlayStation 2 generation hits are at least guaranteed a spot in our memory banks as we move further and further away from the consoles they debuted on. 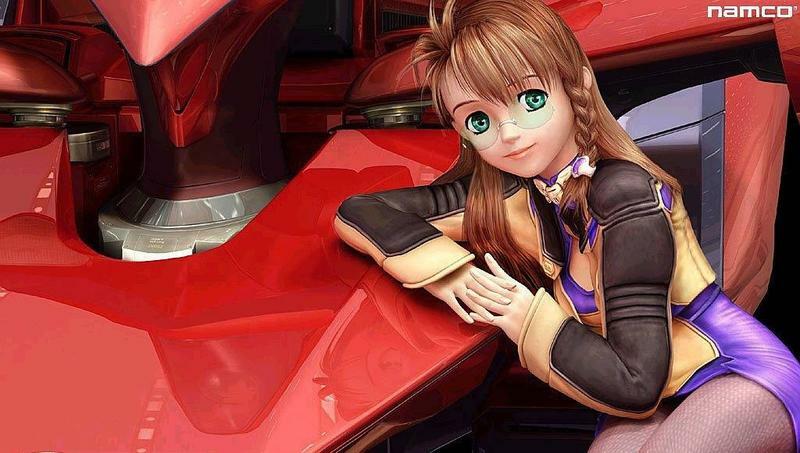 If all else fails and the HD collection never happens, you really have to wonder what is holding Bandai Namco back from a straight up PlayStation 2 Classics release of Xenosaga. The same goes for Sony with the Dark Cloud games, Capcom with Breath of Fire: Dragon Quarter, Konami with the Suikoden games, whoever owns the Shadow Hearts distribution rights these days, and the biggest culprit of all, Square Enix with Dragon Quest VIII, Final Fantasy XIII, Valkyrie Profile 2, and whatever else it is holding back. Atlus, thanks for always being the good guys. Seriously, what the heck, publishers? That's a lot of wonderful gaming hours that are inconveniently being kept from us. Would these companies rather banish these excellent games into the darkness of history or reap the benefits of our nostalgia with a simple PlayStation Store release. Do they have any right to decry the piracy of older games if they give us no other options? I just don't get it, and I probably never will.